Playamo Casino is a bitcoin casino that is operated by experienced gamblers and casino enthusiast. The Casino has all the features an Australian player could want in an internet casino. The casino has over 600 top-quality casino games developed by the leading software creators in the casino gaming industry. The gaming providers include Betsoft, iSoftBet, Netent, Endorphina, Amatic, Habanero, SoftSwiss and many more. The casino is a trustworthy gambling website as it is licensed by SoftSwiss N.V. ensuring that all games are legitimate and players will have an entertaining experience. Playamo offers great bonuses and promotions, many different features and an enthusiastic customer support team. Which all team up to increase the casino’s reliability. The casino website is stylish with a space theme and contains vital information which appears on the casino’s main page. 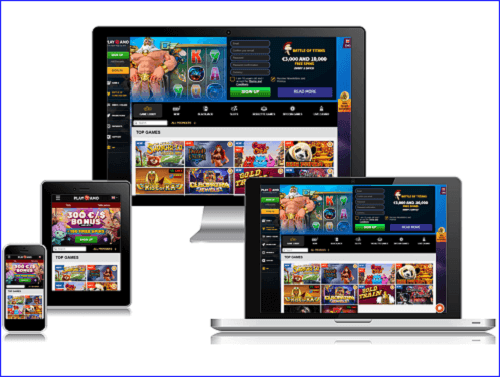 On the left side of the home page, you will find the main menu, which contains links to the casino’s different pages, including games, payment methods, promotions and support along with pop-up help menu. The pop-up help menu is available on all the pages to give players easy access to the support team’s helping hands. There is an exhibition of all the games available at the casino in the centre of the main page. The bottom of the home page contains data such as FAQs, terms and conditions, about us, affiliates and more. 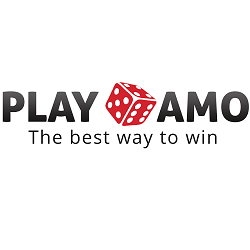 To sign-up at Playamo casino you are required to provide information like your Email ID, your preferred password for the casino and the currency you would like to use. Players will need to confirm that they are over the age of 18 and accept the terms and conditions provided by the online casino. Once you have entered all the relevant information and sign-up, a confirmation email will be sent to you. The Playamo casino offers players over 600 games and grows rapidly as many games are added to the ‘new’ label. The games provided by Playamo Casino can be distinguished into five different game categories, namely Blackjack, Slots, Video Poker Roulette and live games. Playamo casino has a total of 439 pokies variations. The most popular pokies include Book of Aztec, Billyonaire, Platinum lighting, Diamond Cats, and many more. There is a total of seven different Blackjack games that include Multi-hand Blackjack Pro and Pontoon. The Roulette category contains nine games such as American Roulette, European Roulette, French Roulette, Automatic Roulette and many more. There are eleven Video Poker games, including Jacks or Better, Wild Texas, Joker poker and a variety of others. Players will find that there are 18 live dealer games, namely, Live Blackjack, Baccarat, Roulette, Keno and wheel of dice games. 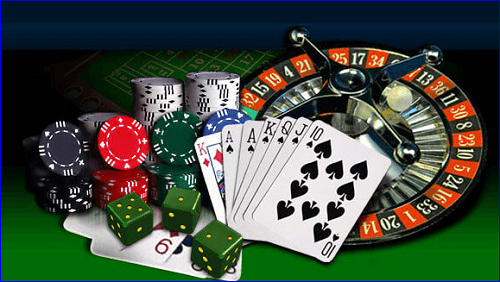 There is a variety of other games which can be found under the jackpots category. The games are fast in terms of loading time. The games provided by Playamo Casino have great graphics, but there are a few that seem to have lower resolution display. All the games found at Playamo Casino have an option to play for free. However, many of the live dealer games require you to deposit before you can enjoy them. There is a variety of deposit and withdrawal methods accepted by Playamo Casino including bitcoin. The deposit options range from wire transfers, credit cards and e-wallet services. The other methods include Visa, Maestro, MasterCard, Neteller, Skrill, Qiwi, Trustly and Comeplay. The banking options all contain maximum and minimum transaction limits. Therefore, it is important to make sure that you know the limits before choosing one. The withdrawal methods do not include some of the above-mentioned payment methods. The withdrawal options available are Bitcoin, Skrill, Visa, Neteller, Sofort and Comeplay. All of which has withdrawal limits. The withdrawal methods may take between 1 and 3 days to be processed. However, there are a few which are instantly processed. There are many bonuses and promotions offered by Playamo Casino. Upon adding cash to your casino account, Playamo Casino will reward you with a 100% sign-up bonus up to 1 bitcoin or AU$100. Steam tower slot game offers you 25 free spins after your first deposit. When you make a second deposit, you receive 50% up to 1 bitcoin or AU$100 as a bonus, which includes 25 free spins to play in the game Starburst. The casino also has promotions like Monday Free Spins, in which you receive an approximate amount of 100 free spins to use in games such as Beanstalk, Jack and Evolution. Friday Reload awards you with a 50% bonus up to 500 Bitcoins or AU$100 and 20 additional spins to play Gonzo Quest. Playamo gives you a cashback offer of 10% every Sunday. Many questions rise from gamblers who sign-up at new casinos, especially from inexperienced gamblers. Therefore, Playamo Casino offers a 24/7 customer service. The Customer support will freely answer all questions raised to the best of their ability. Whether its questions about banking, playing or signing up Playamo Casino. The casino also offers a live chat option which is available 24/7. The casino ensures that no questions go unanswered. Playamo provides players with the opportunity to access the casino directly from their mobile device. You can access the casino from your web-browser. The casino has a responsive web design on which the page’s elements automatically adjust to fit the mobile screen size. 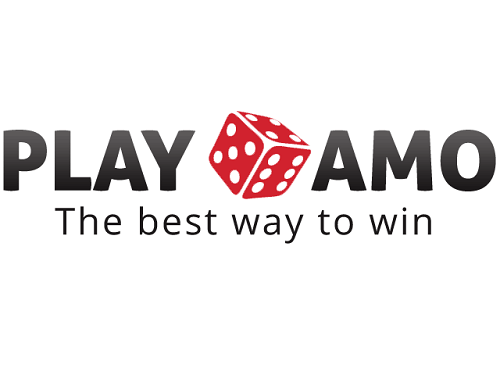 There are various advantages of Playamo casino. The pros and cons will be discussed below. There is a vast selection of games. It has a great affiliate program. There are live casino games available. It has a live chat customer support system. Most of the banking methods offer instant withdrawals and instant deposits. Playamo is not available to players in the United States and United-Kingdom. Playamo Casino contains a wide selection of games with all their variants and keeps including more games over time. The casino offers players an unlimited amount of rewards which are accessible every time they play. Overall, the casino is reliable and safe to gamble at. Therefore, we give the casino a rating of four out of five stars.